According to a new poll conducted by the Siena College Research Institute, nearly two-thirds of New York state registered voters think Amazon’s decision to cancel its plans for a second headquarters in Queens was bad for New York. Sixty-one percent of the people who were polled say they would approve of the deal—in which Amazon would receive up to $3 billion in state and city incentives and create up to 25,000 jobs—if the company were to reconsider. 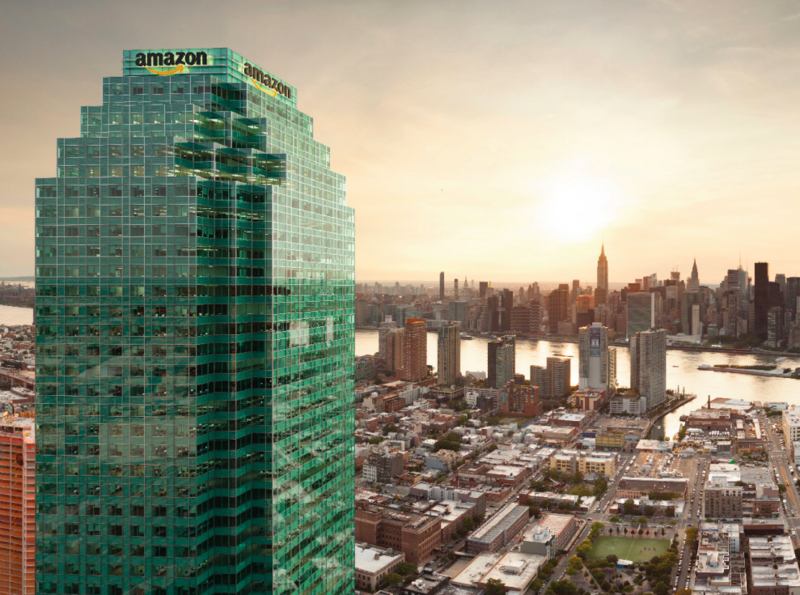 The results are clear: “While some may have celebrated Amazon’s announcement to pull the plug, the vast majority of New Yorkers of every stripe thought it was bad for the Empire State,” said Siena College pollster Steven Greenberg. The poll, which was conducted from March 10-14 and has a margin of error of 4.2 percentage points, found that the deal was popular throughout the state, with 63 percent of Democrats and 56 percent of self-described liberals saying the cancellation was bad for New York. In New York City alone, 64 percent of voters agreed. Participants were also asked about who they blame, and the results show there’s plenty of blame to go around. “More people think that Amazon, Governor Cuomo, Mayor de Blasio, the State Senate, and local Queens activists were villains in this saga than they were heroes. However, voters say the biggest villain was Representative Alexandria Ocasio-Cortez.” Greenberg said. Fifty percent of voters in New York City suburbs blamed Ocasio-Cortez with 40 percent of Upstate voters and 29 percent of New York City voters agreeing. “Amazon itself was seen as the biggest villain among Democrats, but Republicans and independents had Ocasio-Cortez as far and away the largest villain, followed by the local Queens activists” wh0 received 34 percent of the blame. Fewer than 30 percent of voters placed the blame on Governor Cuomo and Mayor de Blasio and only 26 percent blamed Amazon. “By a wide margin, New Yorkers would support the deal coming back together if Cuomo and others can convince Amazon to reconsider,” Greenberg said.